One of football’s greatest players, Eusébio de Silva Ferreira, died on Sunday. The Portuguese national and Benfica legend was honored yesterday before Real Madrid’s 3-0 victory over Celta Vigo. Cristiano Ronaldo could be seen transfixed on the screen during the brief tribute – mouth agape, emotions appearing to weigh on him pre-match. 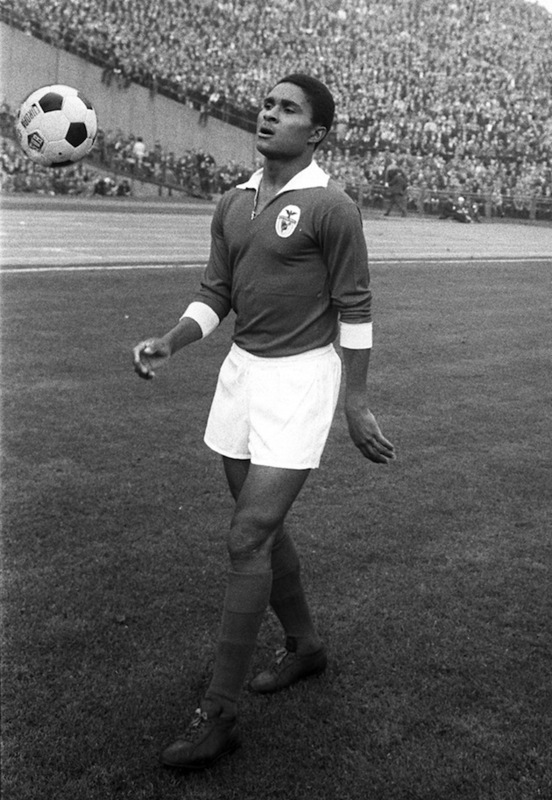 After the match (in which he netted two, including his 400th career goal), he went on to dedicate his performance to Eusébio. He didn’t have to do this, but it’s clear that, although Ronaldo wasn’t even born when Eusébio retired from professional football, the influence was heavy on him. While he may not have the name recognition of Pelé, Maradona, or Zidane, Eusébio (many times referred to as the Black Panther, which has to be one of the coolest nicknames ever) is roundly considered a legend. His name is synonymous with S.L. Benfica, one of the “big 3” in the Primeira Liga, Portugal’s top league. He played there from 1960-1975, helping them win the league title 11 times in that period. His accolades at Benfica are many. He scored an astonishing 317 goals (in 301 appearances), was the league’s top scorer 7 times, and won the Ballon d’Or as Europe’s best footballer in 1965. 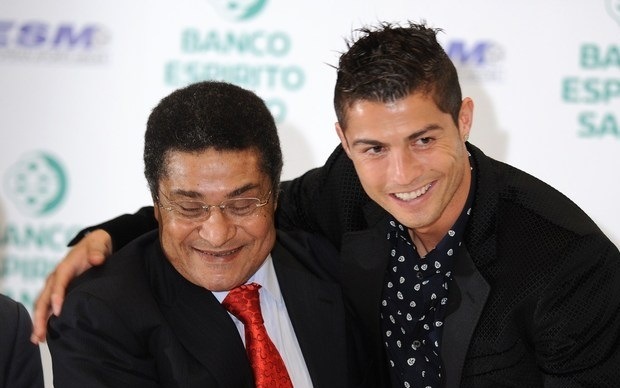 However, the reason Ronaldo undoubtedly recognizes Eusébio as such a great influence was because of the 1966 World Cup. It was the first Cup the Portuguese national team had ever qualified for and they were drawn into a group with Pelé’s Brazil. Captained by Eusébio and behind his 2 goals, Portugal knocked an injured Pelé and the Brazilians out of the Cup to advance. Although they would lose to England in a tight semi-final match, the Portuguese would remarkably finish 3rd in their World Cup debut. Capping off an incredible Cup experience, Eusébio won the Golden Boot (most World Cup goals) with 9 scores. 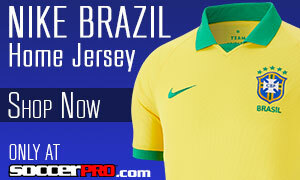 This would put them on the international football map and lay the groundwork for future Portugal greats. Ronaldo certainly knows all of this, because the 1966 World Cup still hangs – for better or for worse – over Portugal. Despite owning some of history’s greatest footballers (Luis Figo and Ronaldo have both won a Ballon d’Or), this still remains their best World Cup finish. 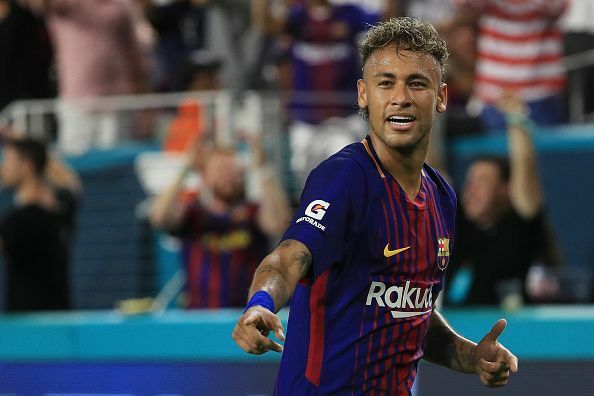 They have also had recent stars such as Pauleta and Deco play for the national team, but still cannot gain entry to the top echelons of international soccer. The upcoming World Cup in Brazil will be Ronaldo’s last in his prime. He is at the height of his powers and will most likely win this year’s Ballon d’Or. Will this World Cup be more of the same for Portugal or will we see a return to the semi-finals in the form of a Eusébio-esque Ronaldo performance? 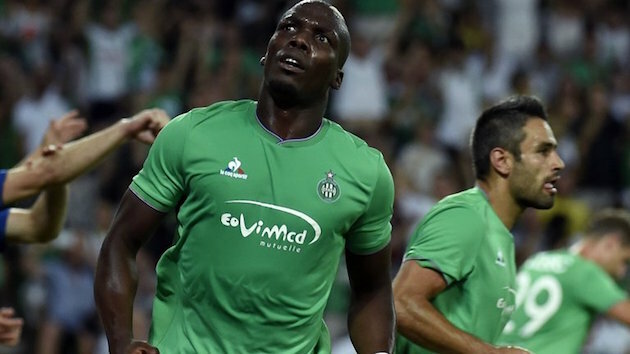 I, for one, would love to see one of the game’s great players rise to expectations and submit an all-time performance (although that could come at the expense of the USMNT). Many of his detractors love to point out Ronaldo’s self-aggrandizing nature and his prima donna behavior. They’re not totally wrong. CR7’s greatness often seems like such a product of our times – all highlight reels and swagger. The opposite of a throwback player. However, in this case it seems as if Ronaldo’s tribute is a moment where he clearly understands and respects what has gone on before him. He knows the importance of what Eusébio did for Portuguese football, especially in 1966, but he also knows that while he is already history’s greater player, there is still work to be done. Eusébio paved the way, now Ronaldo must be determined to continue forging that path for Portuguese football.